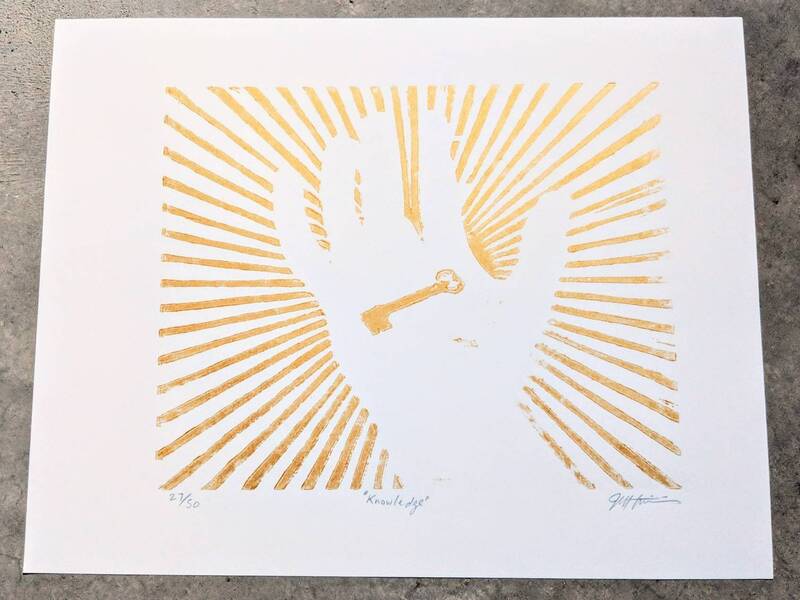 Limited edition wood block print of a key in the hand. 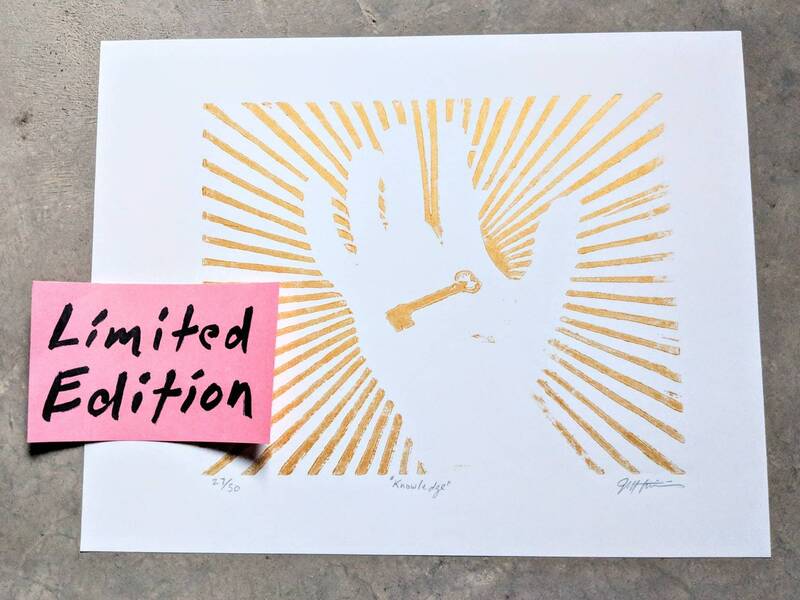 The ink is Gold Metallic. Printed image is 10" by 8"
Soy based ink on paper.